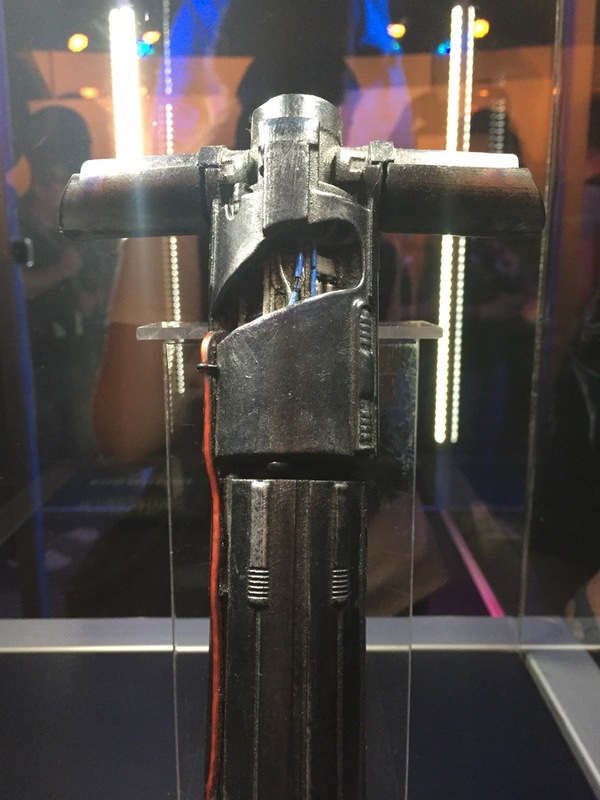 One of the biggest highlights of Star Wars Celebration Anaheim (for everyone except our own Johnamarie Macias) was the unannounced Star Wars: The Force Awakens Exhibit. Strangely, they didn’t announce this exhibit in advance, and on Thursday, few people even knew it existed. It was held in a nondescript room, tucked away in the back of the 3rd floor of the Convention Center, and there were no signs to indicate what magnificent treasures awaited beyond. Unsurprisingly, word got out quickly, and a 30-minute wait for the exhibit on Thursday turned into a 3+ hour wait by Saturday (as did most lines). I still don’t understand why nothing formal was announced for this exhibit. It seems like a missed marketing opportunity (not that they needed it with the attendance numbers being thrown about). Regardless, the exhibit itself was magical. I know that sounds ridiculous, but for anyone who is excited to see The Force Awakens (again, that’s got to be everyone reading this site… except for Johnamarie Macias), seeing these actual live costumes, props, and models was mind blowing. When have we ever had the opportunity to see an actual Star Wars costume in person before the film itself was released? Especially considering the amount of secrecy involved with this film, this exhibit was incredible. Jason already put up an incredible gallery of photos from the exhibit, so I wanted to share a mini-video walk-through that I took on my iPhone. The quality isn’t great, and unfortunately I didn’t get the whole exhibit, but it gives you an idea of what a first-hand experience was like. 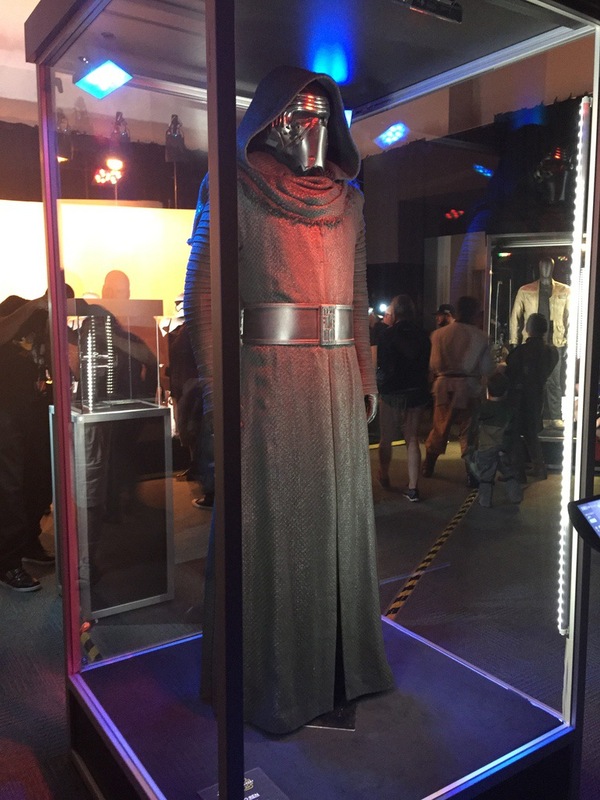 Kylo’s costume was really interesting. His cloak seems to be really thick and textured. It certainly seemed to have a greater weight to it than the Jedi cloaks we’ve seen from the older films. 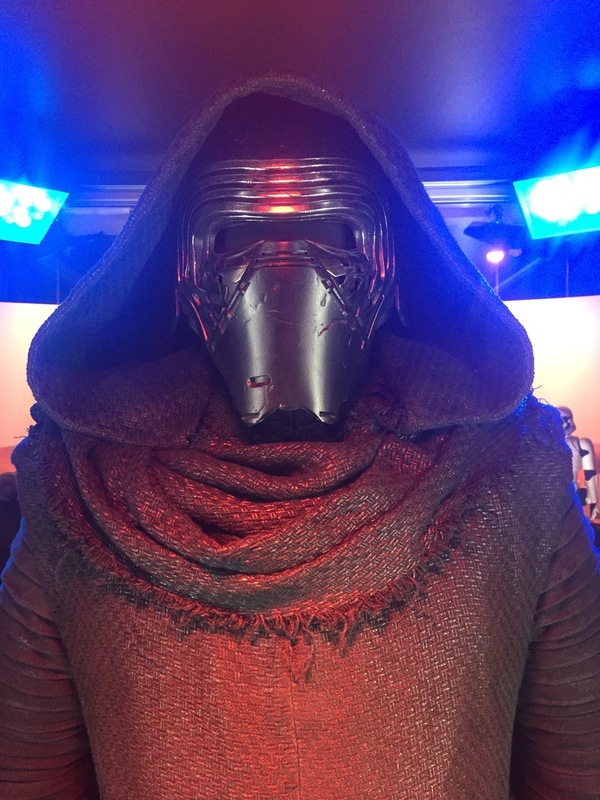 Kylo’s face mask is all silver and looks to have damage on it. I obviously don’t know if this is battle damage, or if it is yet another example of Kylo salvaging older materials and using them to create his costume/saber, but it isn’t the pristine look that we saw from the Empire in the OT. It sure does give Kylo a rugged look that adds to his badassery. 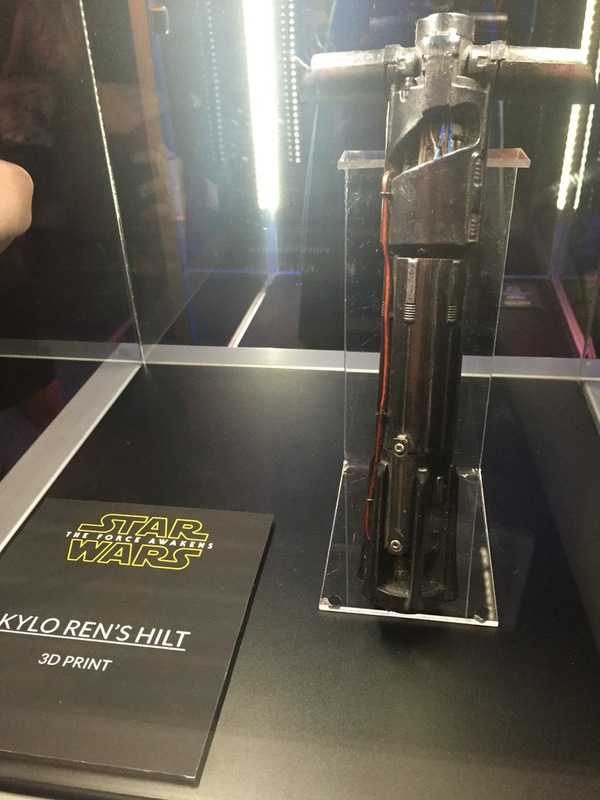 Kylo’s saber is clearly makeshift. It’s a stark departure from all the sweet saber hilts we’ve seen in the past. I’m guessing it’s a safe bet we’ll see a few variations of his saber as the saga progresses and by Episode VIII or IX, we’ll see a much cleaner version (this is totally my blind speculation).